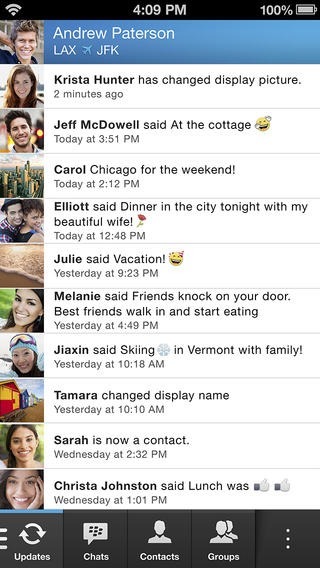 BlackBerry Messenger for iPhone is here Download it NOW! You are here: Home / Apple / BlackBerry Messenger for iPhone is here Download it NOW! 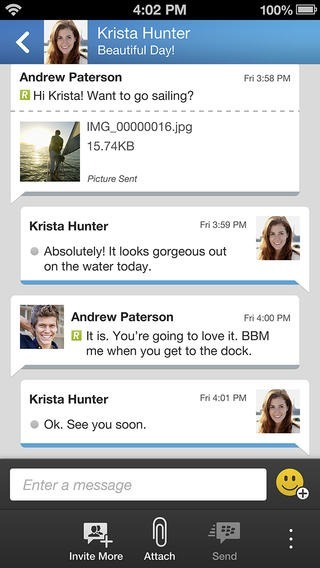 BlackBerry Messenger for iOS has gone live on App Store. On the other hand BlackBerry Messenger for Android is yet to go live on Play Store. But BlackBerry has promised that it will be made available within few days. As seen in tweet by Official BBM Twitter handle “Hey, at least waiting at home is better than waiting in line.” So it seems as if Android version is lined up for approval from Google Play Store before it goes live. Personal Status, Profile Picture and much more.